Trilliums are ideally transplanted in August or September, right when the green growth dies back. I've been meaning to do that because some of mine are planted in a garden that's too dry over the summer. They typically abort their seed pods and go dormant before spreading them, unless I'm careful to water them every other day. Last year I waited too long and couldn't remember where they were planted, so I'm doing it a little late this year. 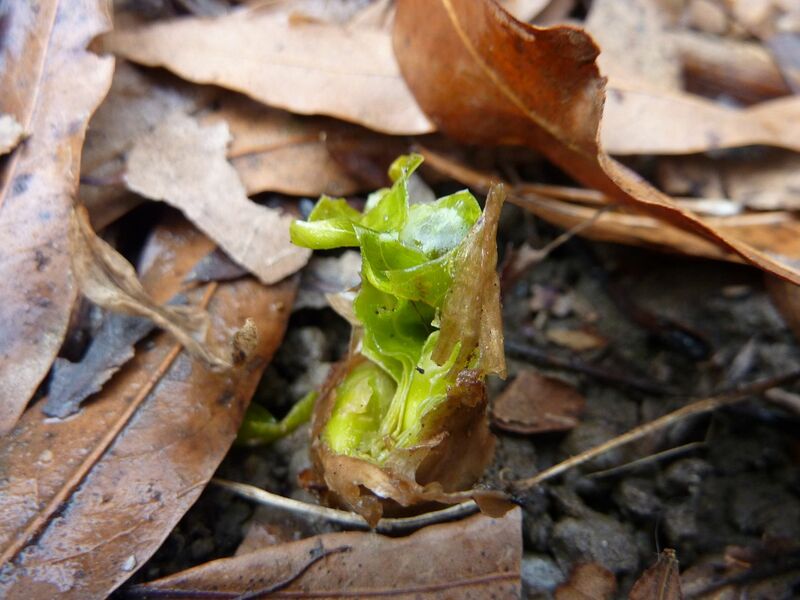 Trillium luteum seems to be the earliest species to push out of the ground. Because of this happening right when they wake up, I'm only moving two of them as a test. I'm expecting them to abort the flower as they don't do well to disturbance like this. 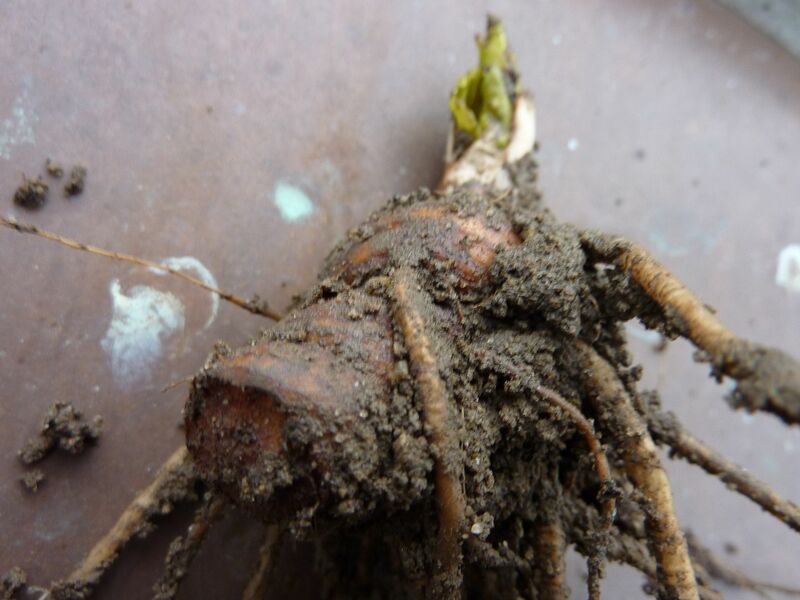 Their root takes on the form of a rhizome. Basically these are mutant potatoes that grow long-wise through the soil moving through the soil very slowly over the decades, dividing on occasion and very slowly separating. 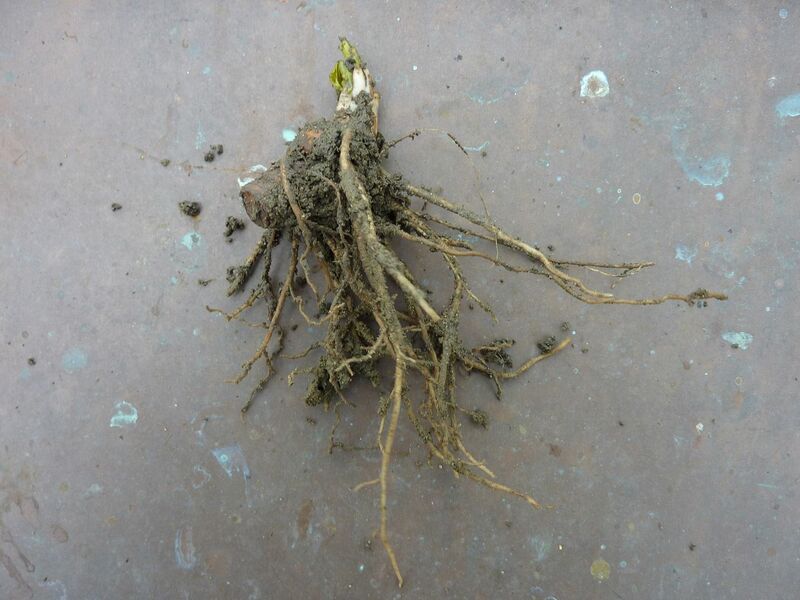 The older parts of the rhizome will slowly rot, at a rate relative to the soil conditions. 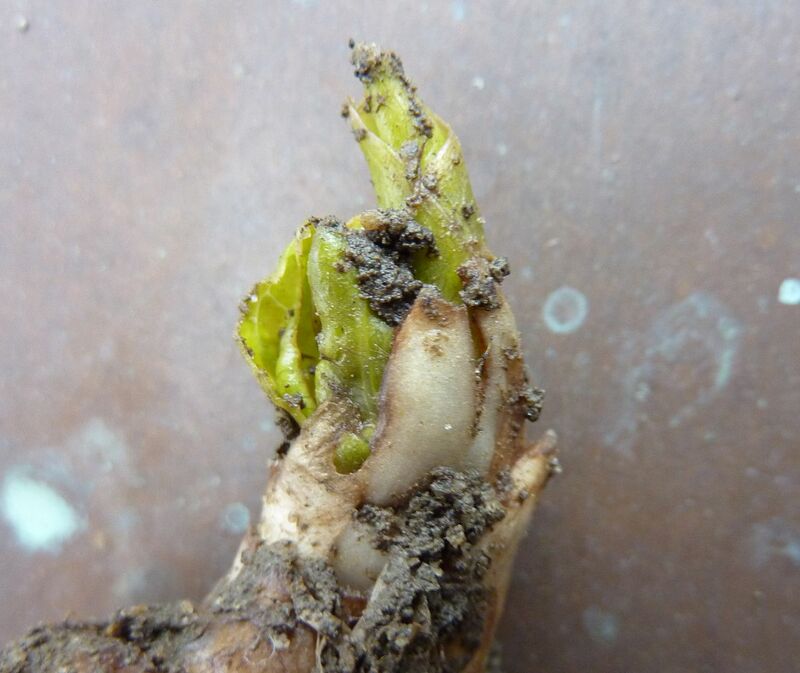 In ideal soil conditions, old Trillium plants can grow out to form hundreds of stems before any noticeable rotting happens, while Trilliums in poor soil will be looser, spread out, and reproduce better by seed. I don't see any rot happening down at the old part of the plant. It looks like someone manually divided it at some point, but you can see that stems emerge from the newest part of the rhizome, as well as most of the roots. The leaves and flower are basically already formed, it's simply a matter for the plant to push this growth up to inflate. Of the two that I moved, I only disturbed the soil from one of them, while the other I kept mostly undisturbed in a big clump of earth. Hopefully I'll get lucky, and they won't abort the flowers.